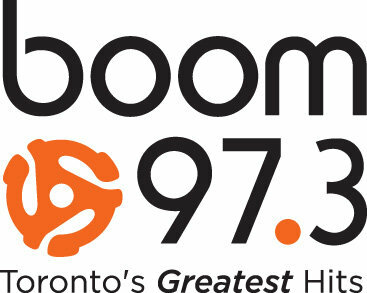 As promised, EZ Rock is now Boom 97.3, playing "Toronto's Greatest Hits". Humble and Colleen are still doing mornings, Maie Pauts takes it from there and KJ still takes you home. Yes, that ad does start with the song that's absolutely everywhere, the same song they played right after flipping formats. Here are the first twenty songs played on the new boom 97.3. It's really a great improvement over the playlist for the old EZ Rock. Sure, I could do without that Neville Brothers tune but we got Martha and the Muffins, the Clash, Max Webster, Spirit of the West and they just played the B-52s. It's definitely classic hits with a strong focus on the 80s and a little 70s and 90s on the side. Sample boom 97.3 for yourself at http://cjez.player.myastralmediaradio.com/ and let me know what you think of the new format in the comments. It might not be exactly what we're looking for, but it's a great improvement. Boom Breakfast show with Humble & Colleen. I tuned in 93.7 earlier today while driving my son to his buddy's house. I heard Depeche Mode. That made me happy. http://cjez.player.myastralmediaradio.com/ doesn't seem to work for me, though. i thought there was a telling moment during the launch at about 9am on the 26th. 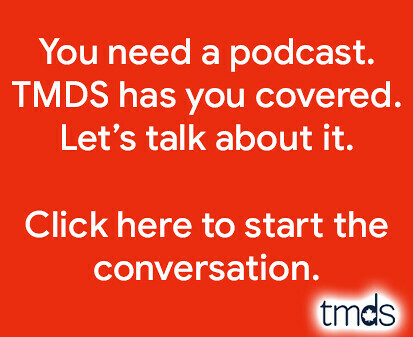 the promo gave listeners a hint of the bands the station would play: "..you're familiar with echo and the bunnymen and omd".. to me, this suggested their target demo are people who were in high school in the 80's who listened mostly to mainstream pop, but dabbled a tad into cfny's bread and butter bands. so, we may get a hint of the old cfny playlist but don't expect to hear any deep cuts from echo or omd or any more obscure bands from that era which would be nice. after all, it is a hits station. then again, how many times can they spin if you leave or the killing moon.. I could live without the Springsteen, Meatloaf, and Hall & Oates that I've heard so far today, but this might make a nice alternative from time to time. Still looking for something to replace CFNY on a permanent basis though. Their upcoming "best of the decade" countdown will likely be the last straw. Having Maie Pauts on BOOM during the day is a good thing though. Looking forward to tuning in for a bit of that. Ryan - the promos are interesting. There are lots of great clips in there, but unless they're planning some in-depth segments on various bands, I believe you're right. We likely won't hear the rarer stuff. And now they're playing Aretha Franklin, which somehow doesn't really fit in. Oh, and Donny Osmond from 10pm-2am? Really? It's something. I miss hearing Maie and Humble so I'll be checking it out at some point. Boom won't replace anything on Tier 1 of my car pre-sets, but based on what I see here, Virgin's about to be replaced on my Tier 2. Do you suppose he'd play Weird Al? In the end it's really just another lack luster station on the FM dial. In the end, the playlist will likly please no one. It really make ya wonder. . . So who's on the radio from 2am to 5:30am? Oh, and check out the logo for THE HAWK out in Woodstock, Ontario - they seem to share the same logo. http://is.gd/5Doyc -- The Hawk's logo. Same ninja star whatever that thing is. I'm listening again right now - just heard Elvis Costello and AC-DC. There's potential here - I just hope they don't pander too much to the old EZ Rock crowd. I know they're targeting females, but I hope that doesn't mean too much Madonna and Bee Gees. Still, from what 97.3 was, this is a massive improvement and a step in the right direction. It is a bit Jack-ish, but maybe it's Jack with personality. About five minutes before Jack-FM here in Toronto flipped formats, I wrote about the problem with Jack. Another reason for optimism: as I listened in the shower this afternoon (gotta love Sundays) and before they played a Talking Heads song, they told a story about the Talking Heads in Toronto. The short story ended with "and that's why this is one of Toronto's greatest hits". Tying bands and songs to Toronto is a great way to localize beloved classics. Unfortunately, Bryan Adams appears to be their solution to CanCon. They play a lot of Bryan Adams. I pretty much agree with your assessment, Mike. It's not perfect, but I think the station certainly has potential. It'll work it's way into my rotation with The Fan, CBC Radio 1 and CBC Radio 2 in the car (Just can't listen to the Edge anymore, and I can only listen to Q107 in very small doses). Has anyone checked out the new 95.3 yet? It's basically cheesy oldies, but it's kind of fun for a little variety. It's not Bob and Doug's 12 Beers of Christmas, is it? "I know they're targeting females, but I hope that doesn't mean too much Madonna and Bee Gees." It's a bit of a generalization, but I think it's fair. I'm sure Madonna and the Bee Gees are appreciated far more by women than by men, wouldn't you agree? Maybe the Bee Gees, though I don't personally know any women who are big fans. I always thought the appeal of Madonna was a guy thing though. Still, there are lots of females out here who have much better taste than that. Bag Samantha Stevens and I'll lock it on! Boom plays some decent music but they also reserected the trash from the 80's - mostly the CANCON, e.g. Glass Tiger, Corey Hart "Sunglasses at Night", The Box "These Dreams of You". etc. I believe EZ Rock re-branded themselves in Sept. of 2008 as "The NEW EZ Rock". I suspect this current incarnation will be gone by Sept. of 2010. If so, will they go to the dance music format so many others have gone to? i.e. Mix 99.9 to Virgin, Jack to Kiss-FM, even CHUM -FM is essentially dance. PS- I'm no industry insider, I'm just a casual listner. Hi there I was driving home between 1 and 130am sunday march 1st and heard i think a Depech mode song...not sure of the the name but would you guys be able to send me your playlist between that time? Love the Platinum Blonde. I remember when they played at our local fair here in Lindsay on their way up.